Tiger Woods almost sustained a bad injury at Augusta. 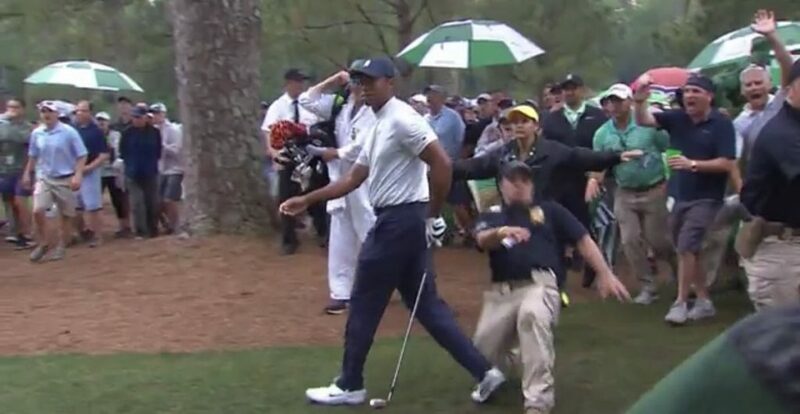 After his approach shot on the 14th hole, a security guard tried to run over and control the moving crowd, but in doing so, he slipped and fell and made contact with Tiger Woods, who limped away. He did not fall but was visibly wincing. He seems to be okay.